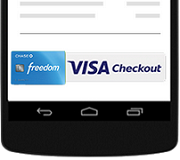 As was promised last month, the brand new Chase Freedom Unlimited card is now available online. Chase’s new cash back card is a departure from its original Freedom card which offers 5 Ultimate Rewards points per dollar spent in rotating quarterly bonus categories (on up to $1,500 each quarter) and 1 Ultimate Rewards points per dollar spent on everything else. Instead, the Chase Freedom Unlimited card earns a flat 1.5 Ultimate Rewards per dollar spent on every purchase with no rotating quarterly bonus categories. In an interview with Reuters, Chase president of Consumer Branded Cards, Pamela Codispoti, recently revealed that Chase would be offering a new cash back credit card in April called the Freedom Unlimited card. Intended to compete against similar offerings from Capital One and Citi, the Freedom Unlimited card will have no annual fee and will earn 1.5x Ultimate Rewards points per dollar spent on all purchases. Now through January 29, 2016 or while supplies last, Chase cardholders can get one ticket free when they buy 2 or more tickets to Kung Fu Panda 3 using Fandango and their Chase Visa debit or credit card with Visa Checkout. To take advantage of this offer, visit http://vi.sa/1ThZmI6, click the “Get Promo Code” button and enter the first six digits of your Chase Visa card and email address. You’ll then receive a unique Fandango promo code via email. Then, go to Fandango.com to buy 2 or more tickets to Kung Fu Panda 3 between January 22 and January 29 in a single transaction. Enter your promo code at checkout before selecging the Visa Checkout option and complete your purchase using any Chase Visa debit or credit card. 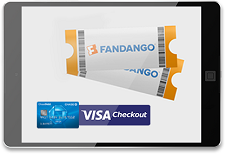 Fandango Promotional Code is good towards the lowest-priced movie ticket and associated convenience fee (up to $25 total value). The promo code expires if not redeemed by January 29. Chase Freedom, Discover it and Citi Dividend have recently released the details of their rotating 5% bonus categories for 2016. If you have one of these cards, you can now sign up for your first quarter bonus program. To help you plan out your spending, we’ve compiled the bonus categories across each of these cards into a single chart for ease of reference. As of Dec 16, only Citi Dividend has published its bonus categories for the entire year. Chase Freedom has released its categories through Q3 2016, while the Discover it card has only released its Q1 2016 categories. From November 23 through December 31, 2015, Chase Freedom cardmembers can get 10% cash back on up to $1,500 in spending at Amazon.com, Zappos.com, Audible.com and Diapers.com. Chase Freedom cardmembers who have activated their bonus cash back categories for the quarter do not need any additional signup to take advantage of this promotion. 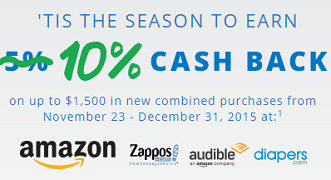 Those who haven’t already activated for this quarter can activate their bonus cash back categories by December 14 to receive 10% total cash back from November 23 through December 31 at Amazon, Zappos, Diapers.com and Audible. 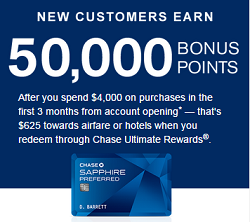 For a limited time, the Chase Sapphire Preferred card is offering 50,000 bonus points after you spend $4,000 on purchases in the first 3 months of opening your new account. That’s up from the 40,000 point signup bonus that’s typically offered. In addition, you can earn another 5,000 bonus points when you add your first authorized user and make a purchase in your first 3 months. 50,000 bonus points is enough to be redeemed for $500 in statement credit, $500 in gift cards or $625 towards airfare or hotels when you redeem through the Chase Ultimate Rewards portal. Through December 31, 2015, Chase Freedom cardholders can get a $15 statement credit when they spend at least $15 using Visa Checkout. This deal is very similar to the previous one for the Chase Sapphire card. Once you enroll your Chase Freedom card, use Visa Checkout to spend $15 or more in a single purchase to receive your $15 statement credit. 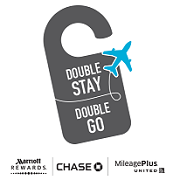 In a unique cross-marketing promotion called “Double Stay, Double Go,” eligible Chase co-branded credit cards from Marriott and United will be offering double the rewards on respective purchases this holiday season. Between November 1 and November 30, 2015, Marriott Rewards Premier cardholders will earn double points on purchases with United® and eligible United MileagePlus Explorer, Club and Presidential Plus cardholders will earn double miles on purchases at Marriott® properties. For a limited time, Chase has bumped up its signup bonuses for both the Ink Plus Business Card and the Ink Cash Business Card. The Ink Plus Business Card now offers $300 bonus cash back when you spend $3,000 on purchases in the first 3 months of opening your account, up from the $200 bonus normally offered, while the Ink Plus Business Card now offers 60,000 bonus points after you spend $5,000 in purchases in your first 3 months, up from the 50,000 points normally offered. While the Ink Cash card does not have an annual fee, the Ink Plus card has a $95 annual fee, which is not waived under this promotion.